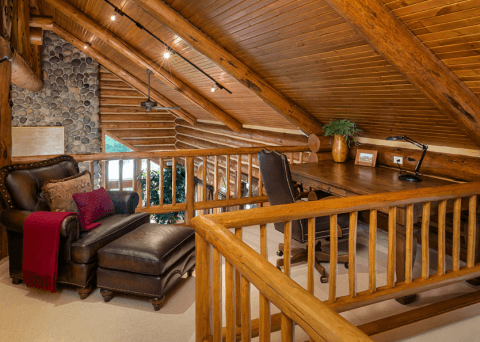 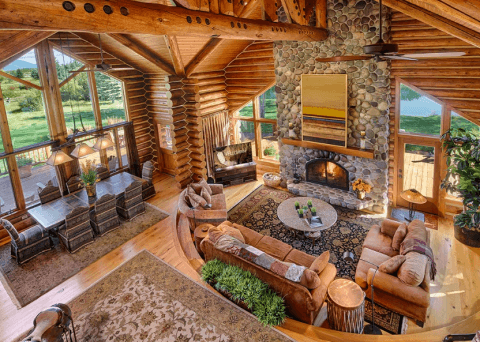 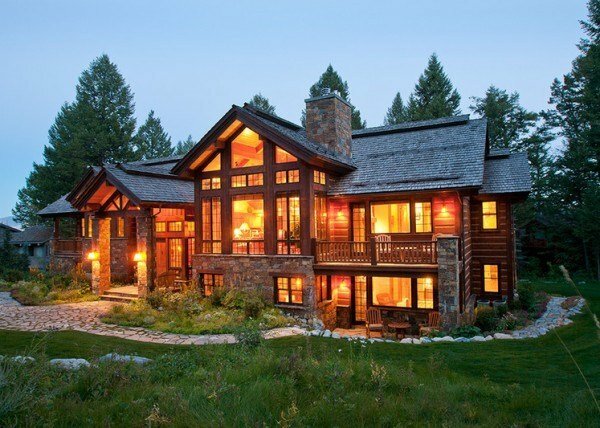 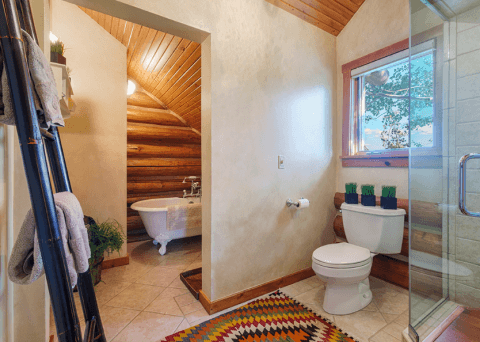 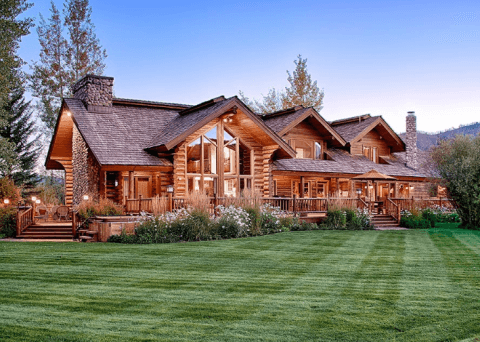 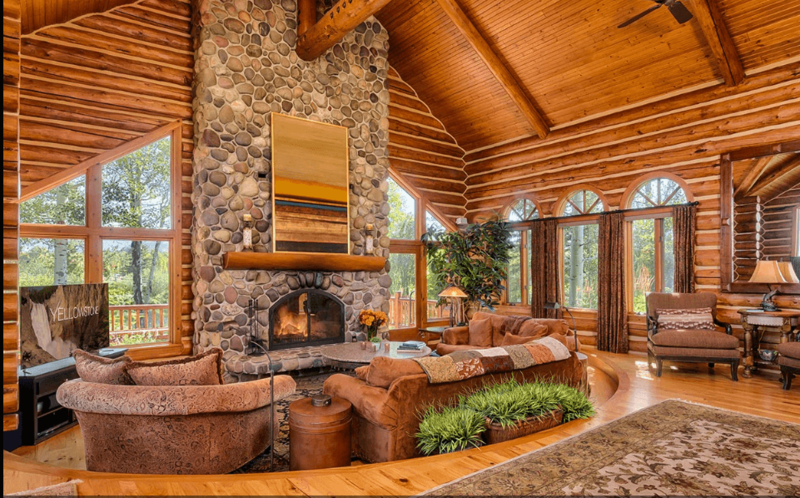 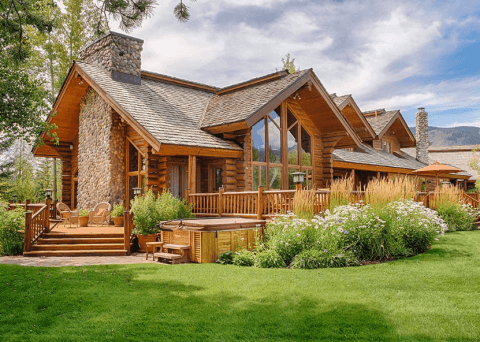 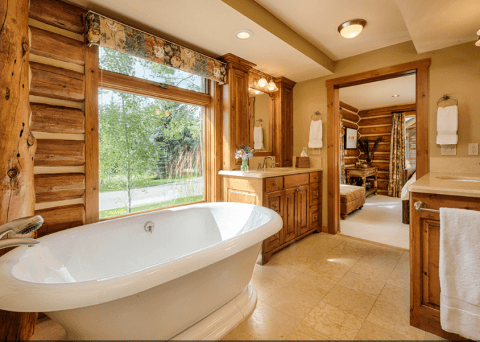 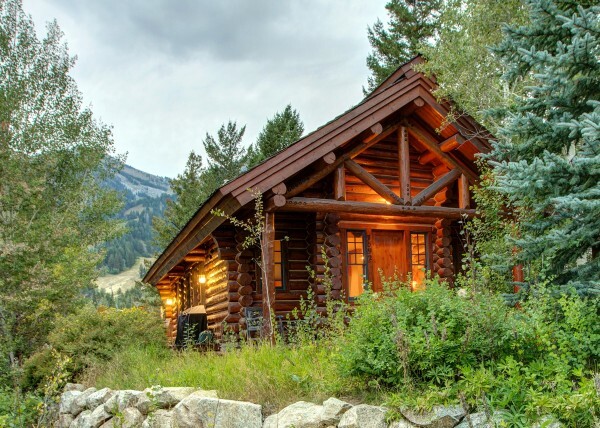 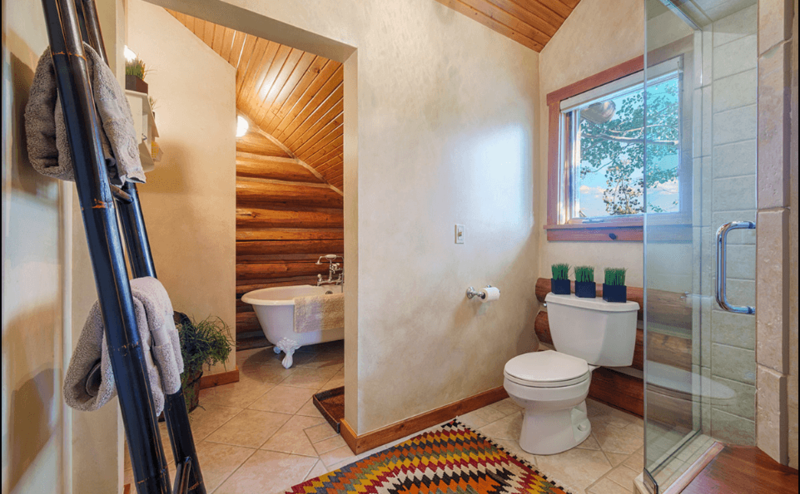 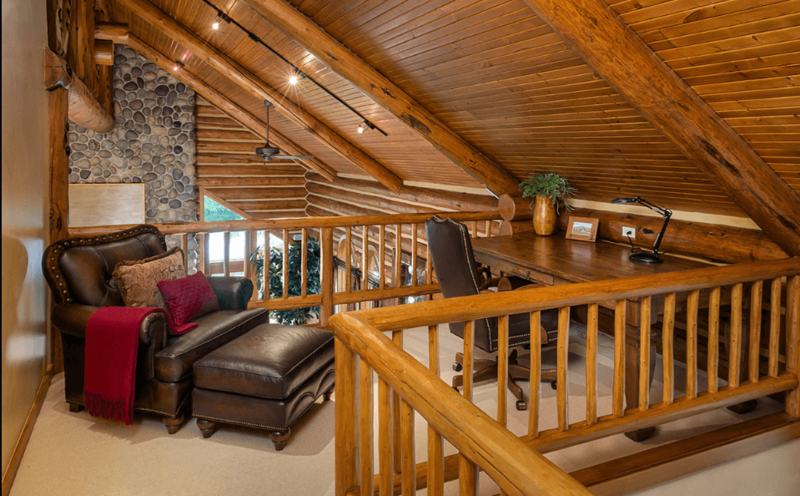 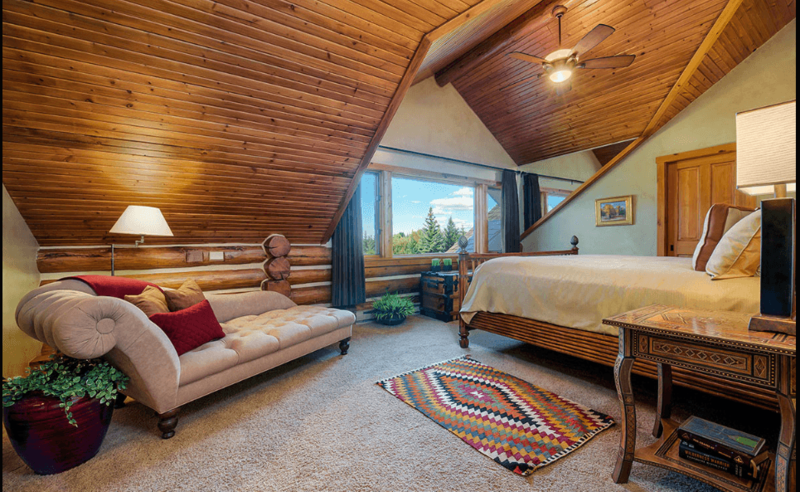 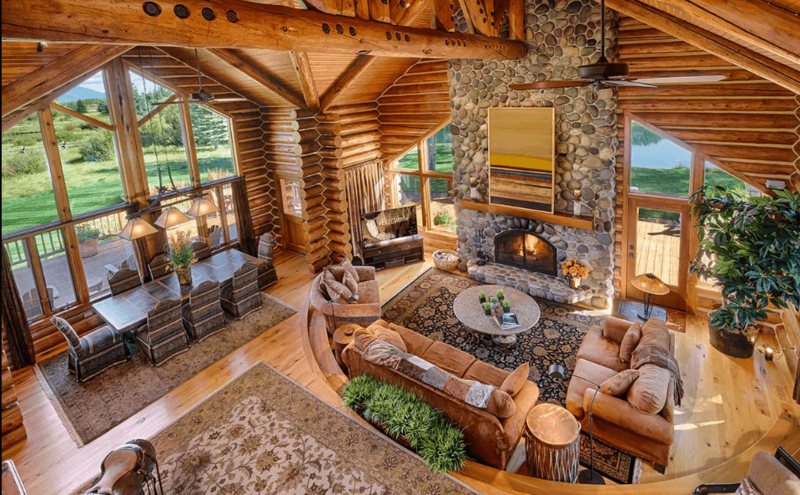 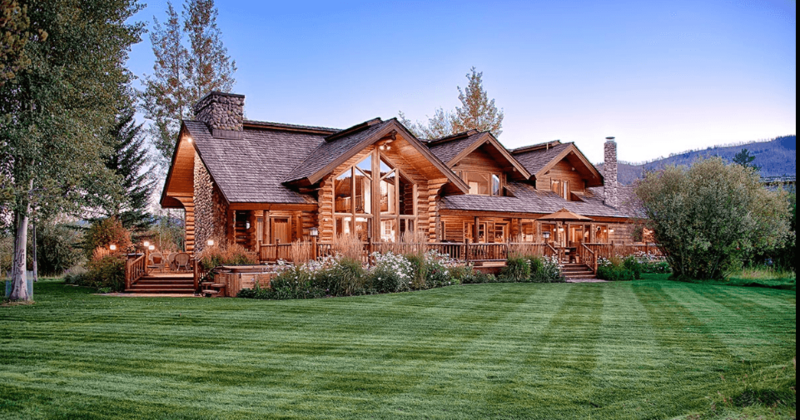 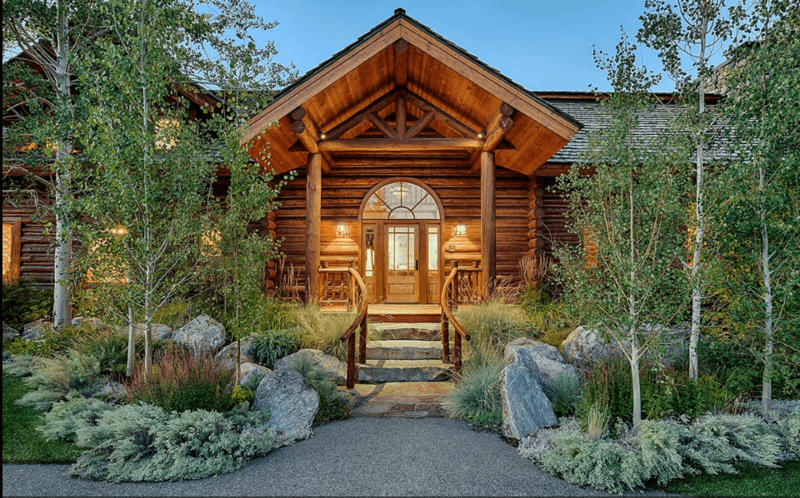 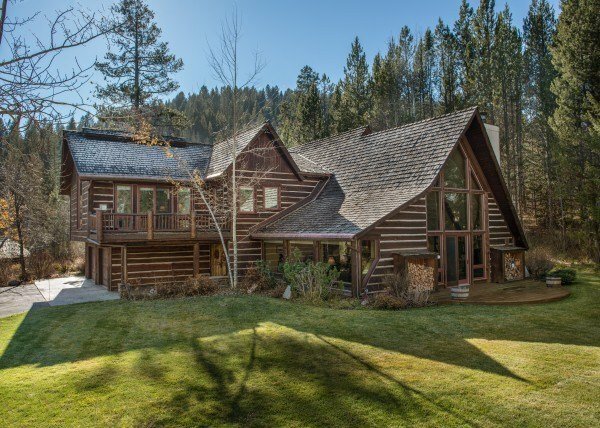 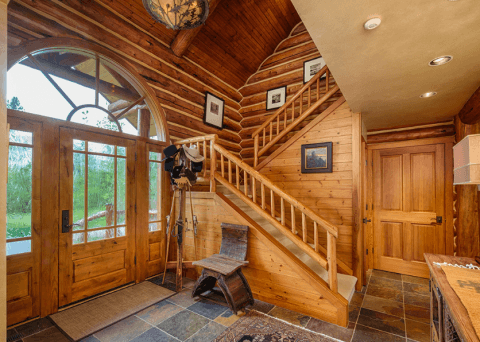 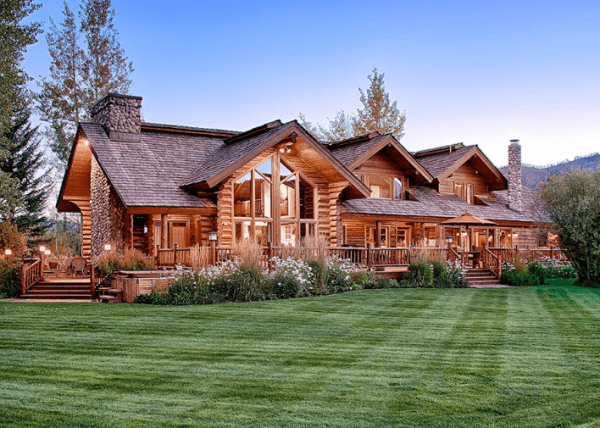 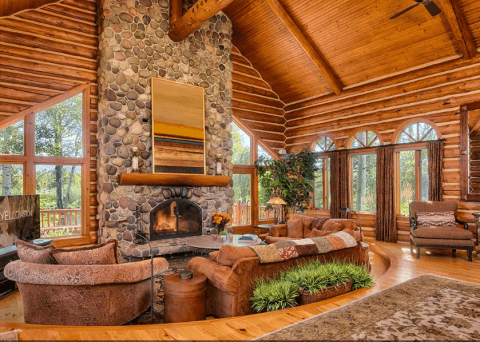 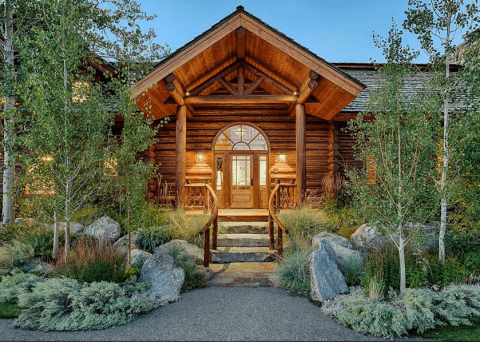 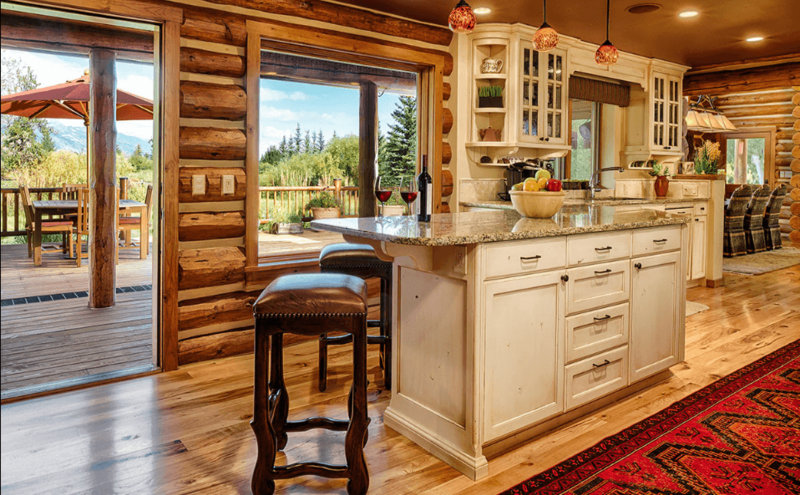 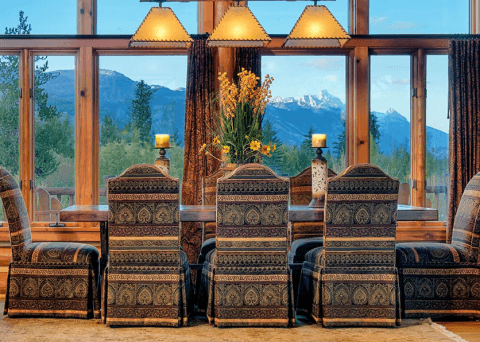 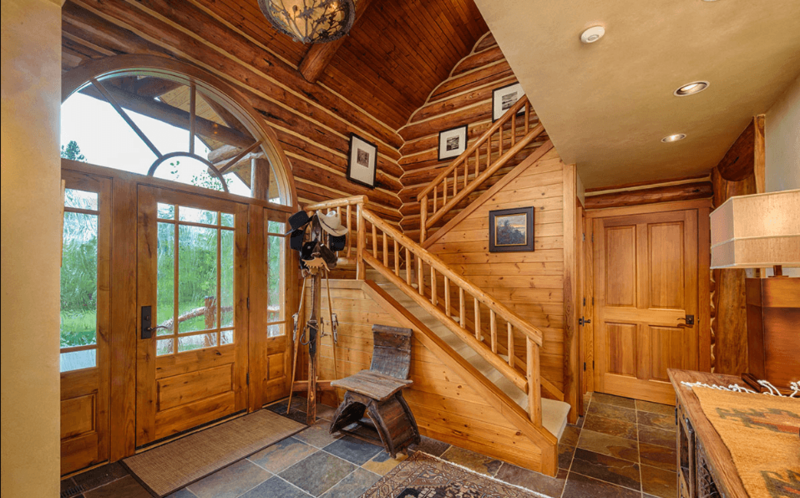 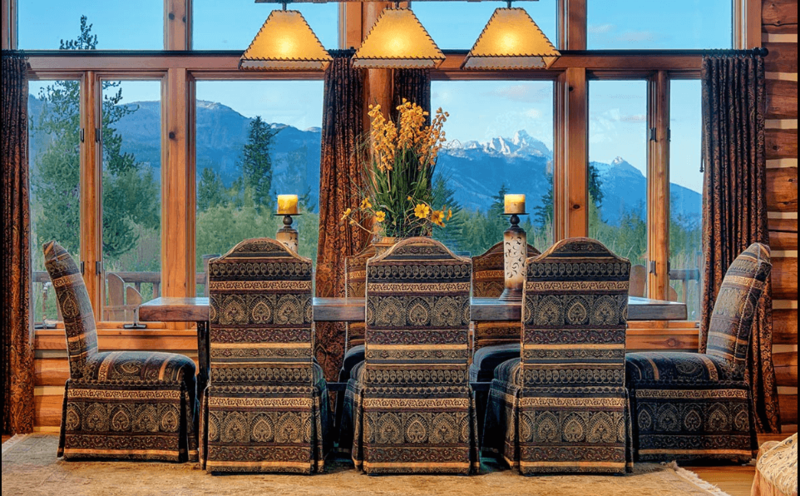 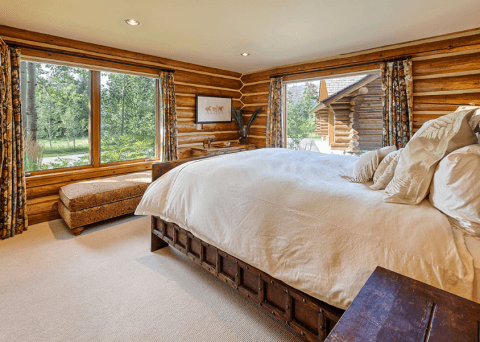 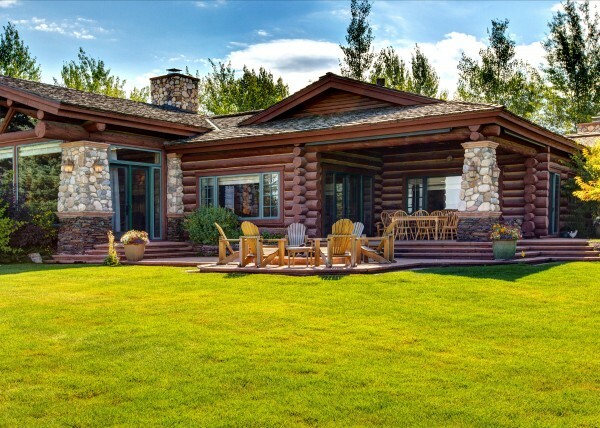 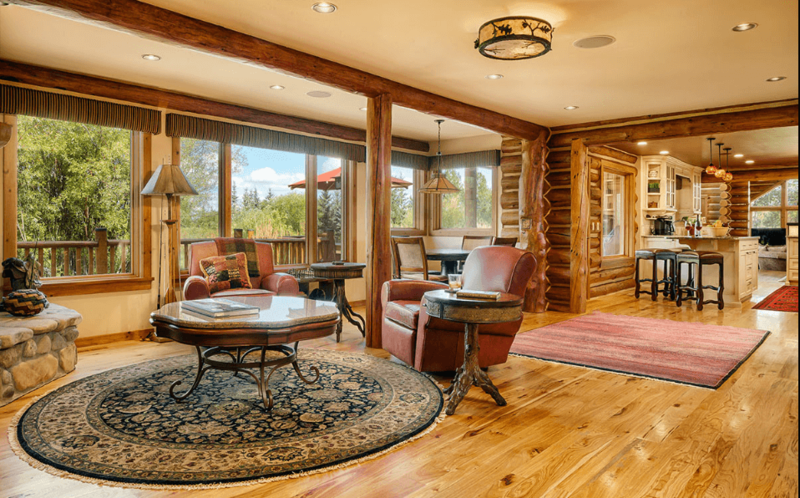 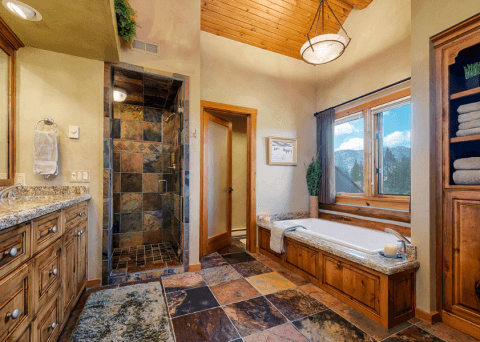 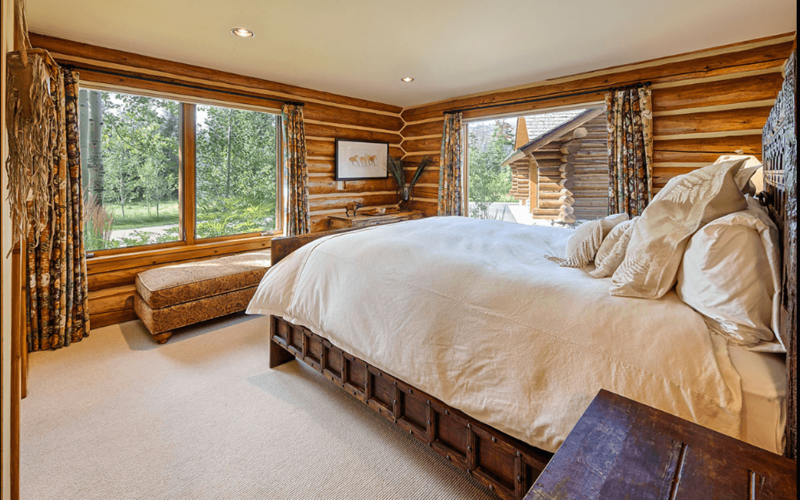 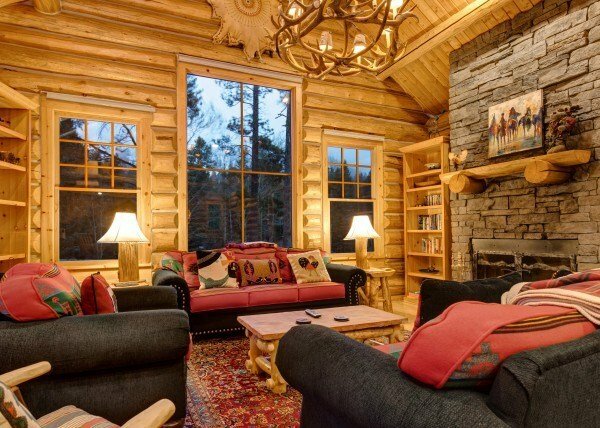 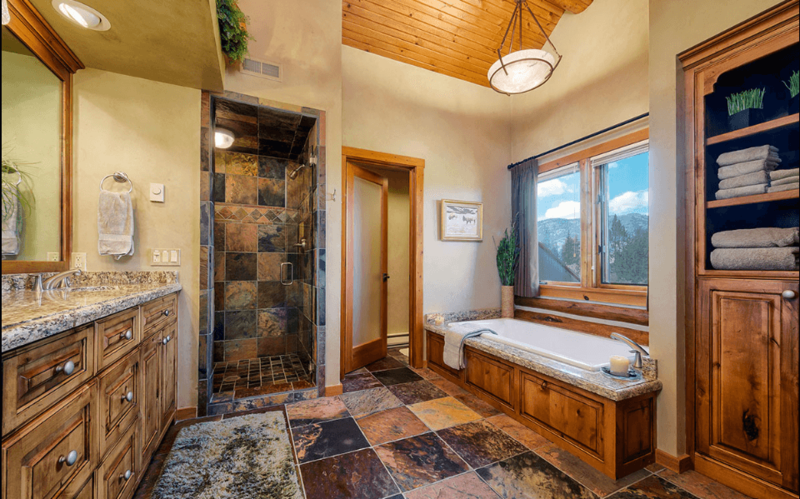 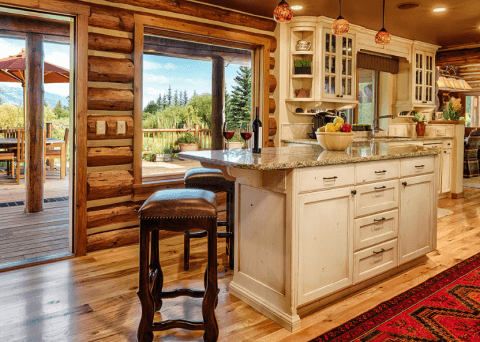 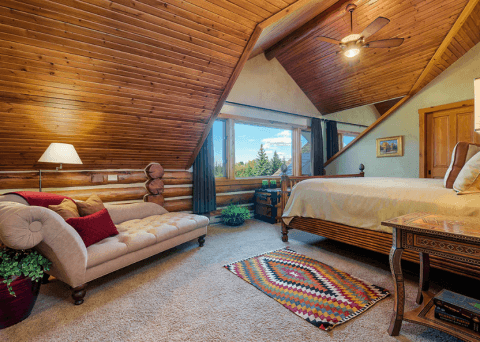 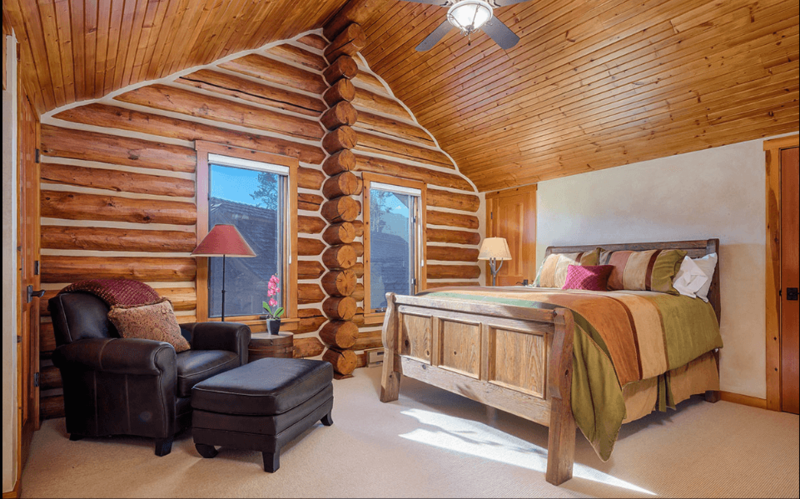 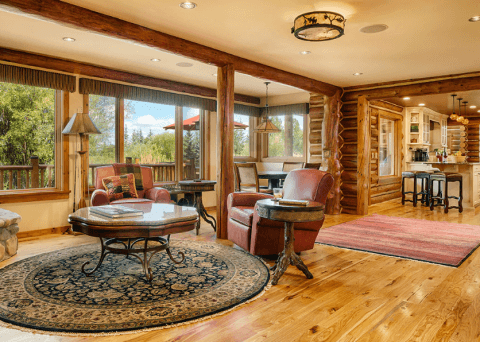 For a traveler who likes to feel at one with nature, nothing compares to staying in an authentic Wyoming log home. 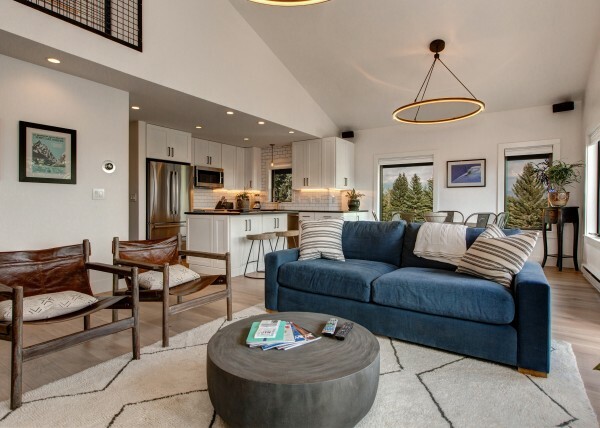 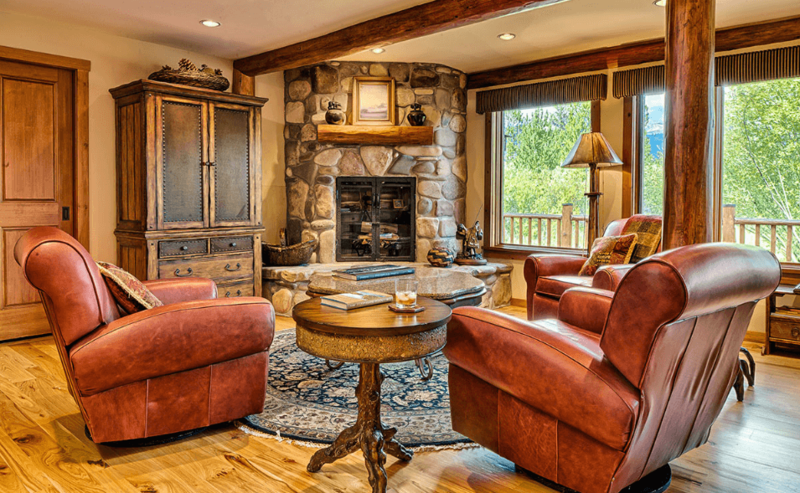 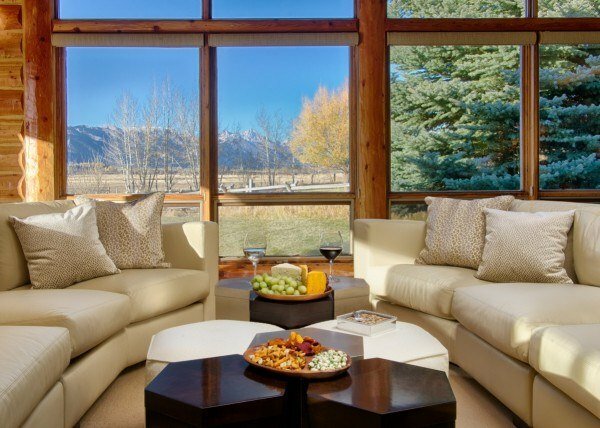 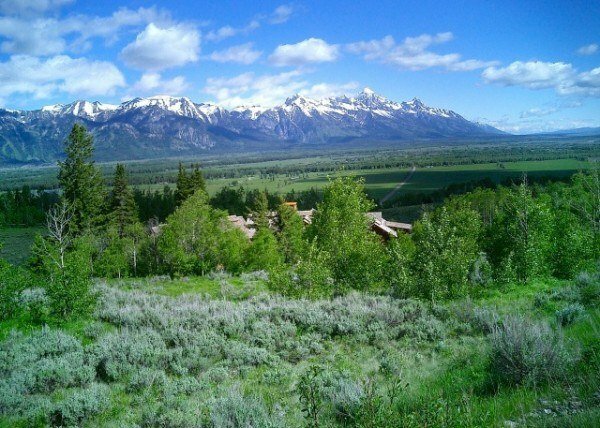 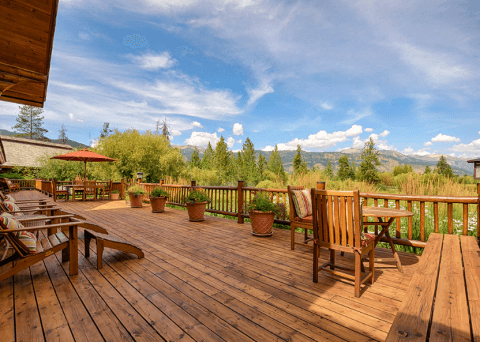 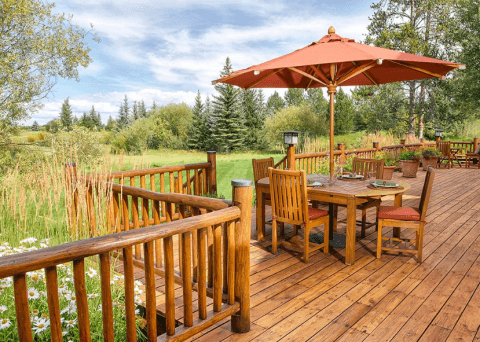 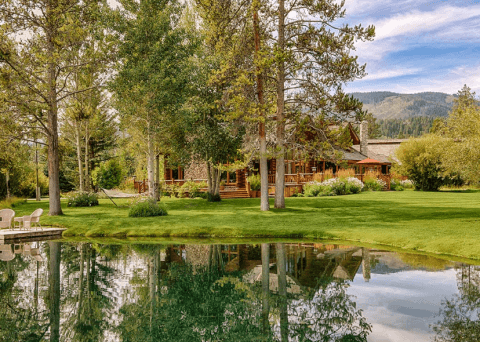 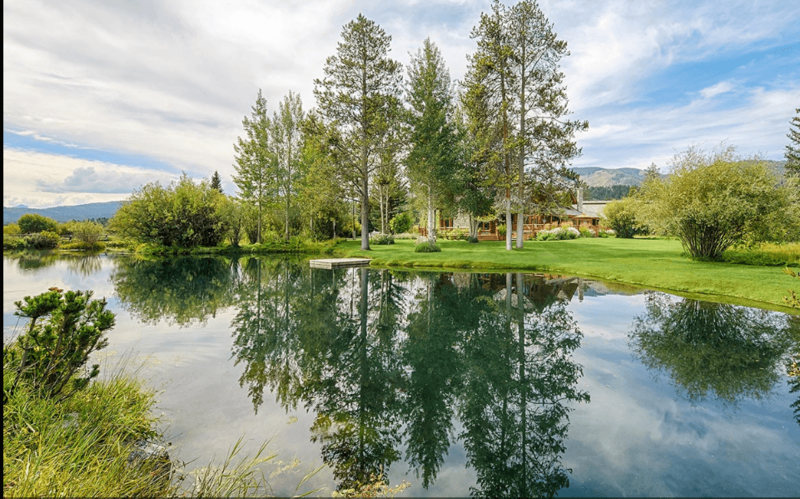 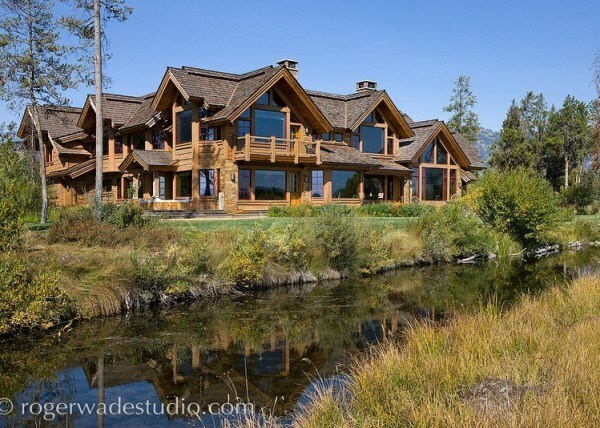 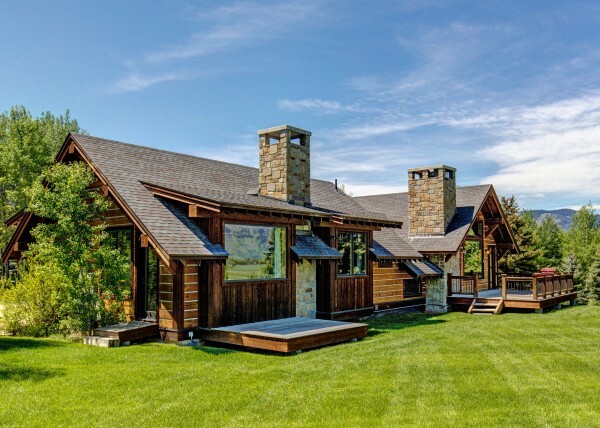 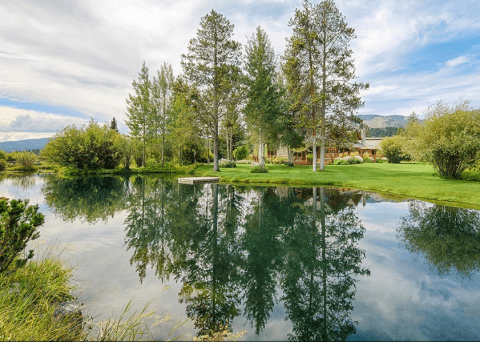 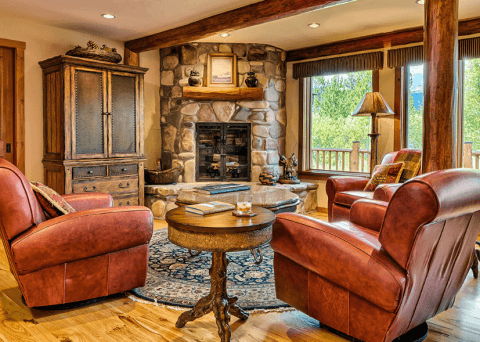 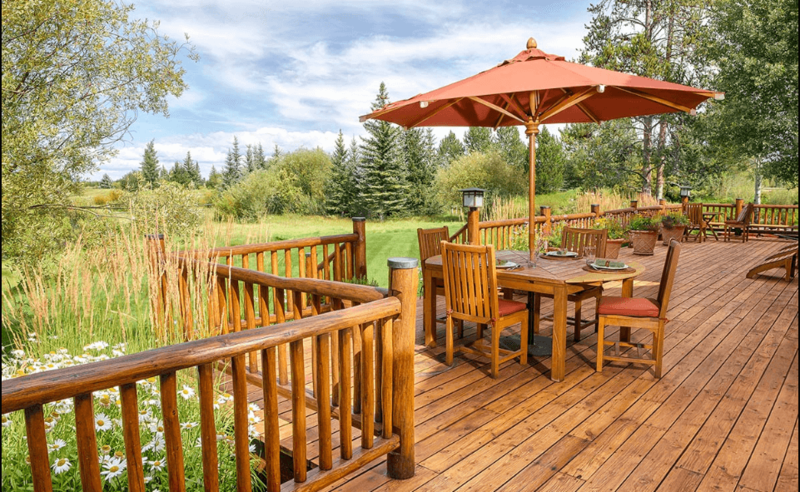 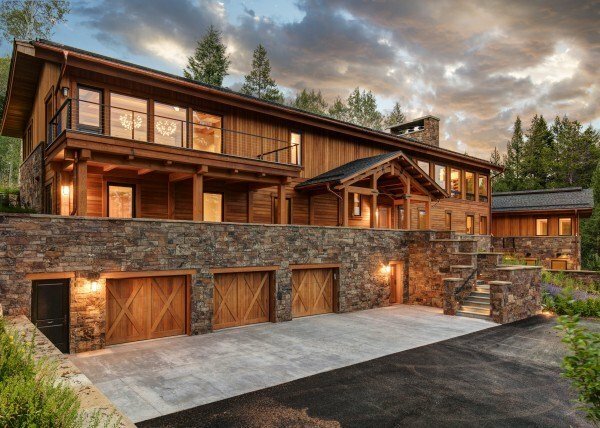 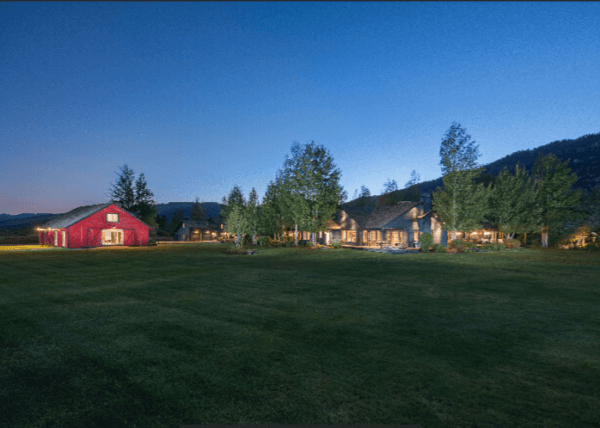 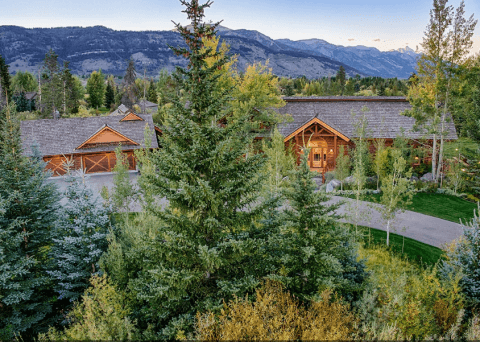 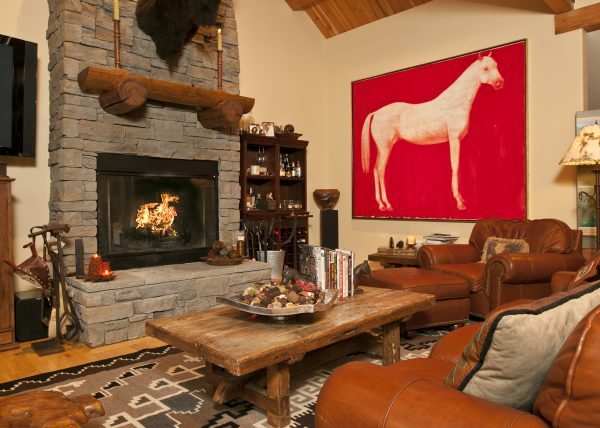 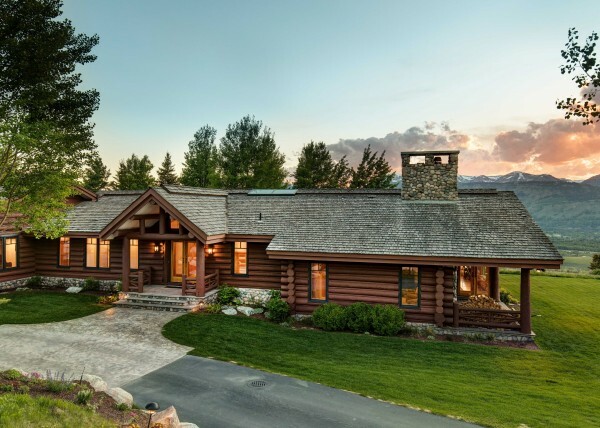 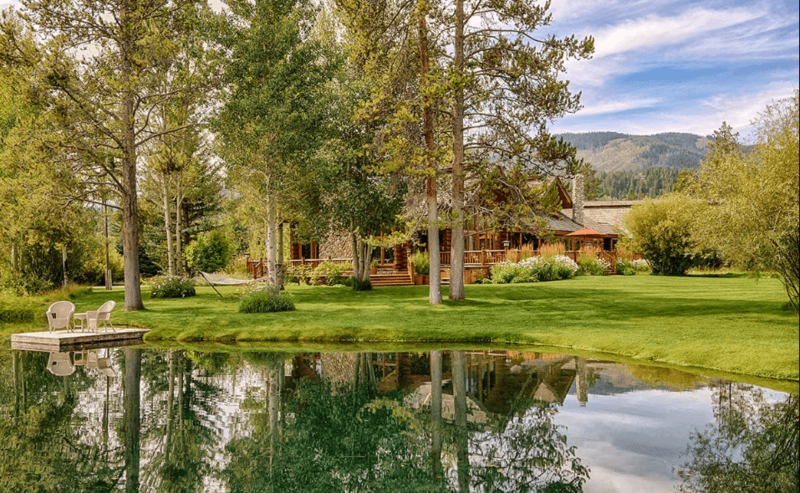 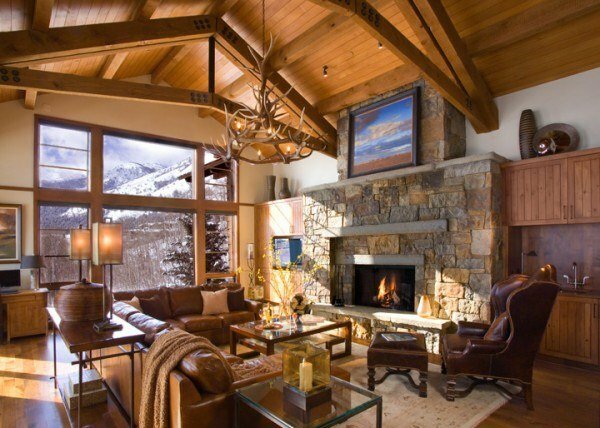 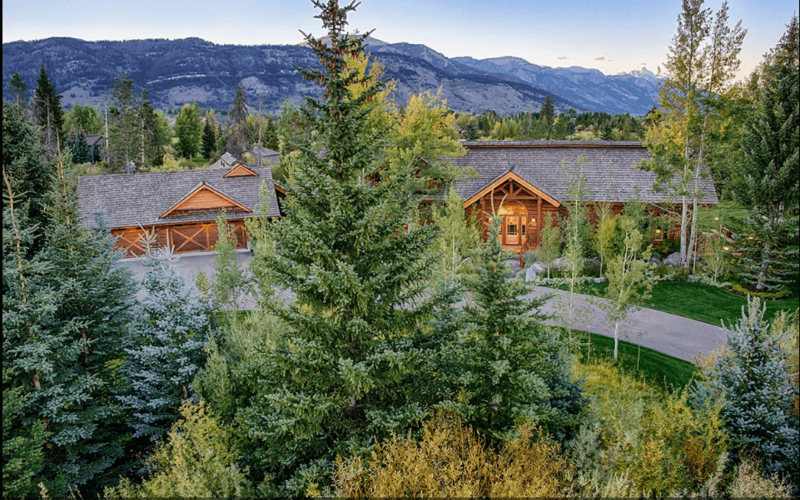 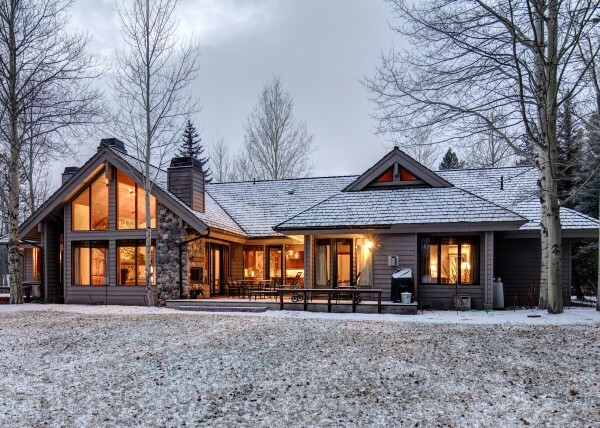 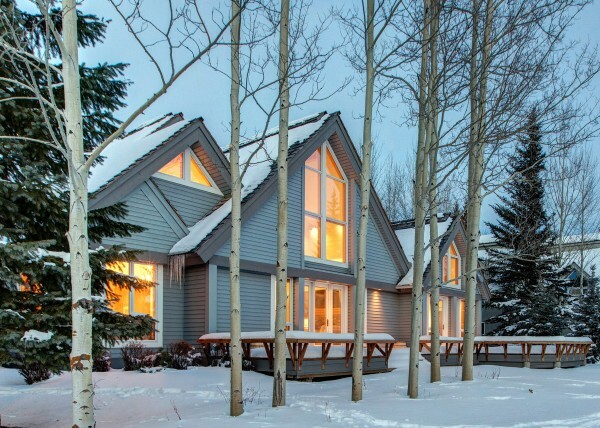 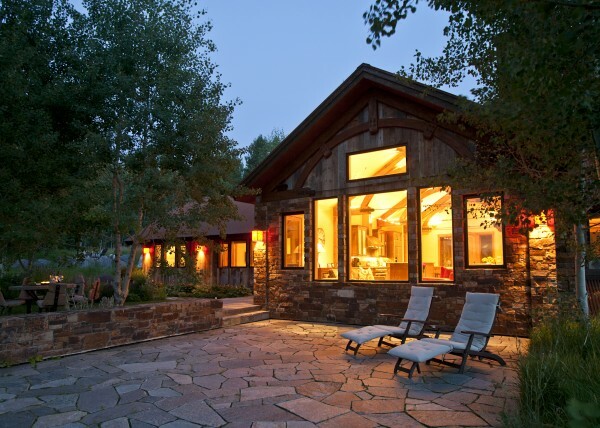 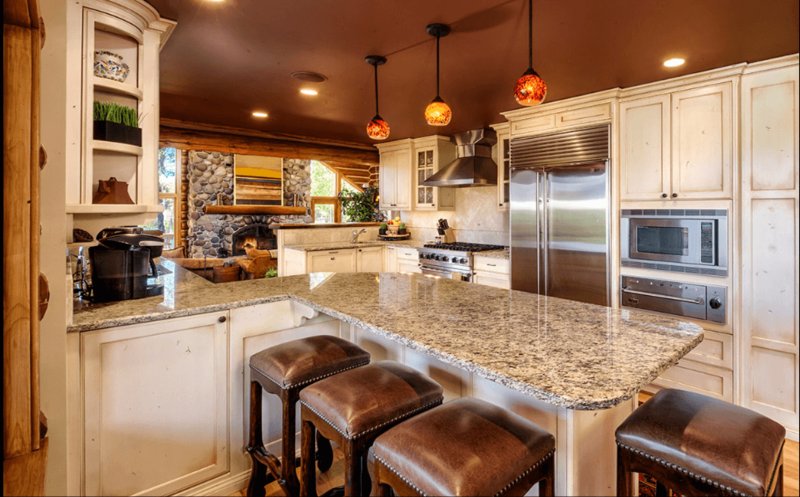 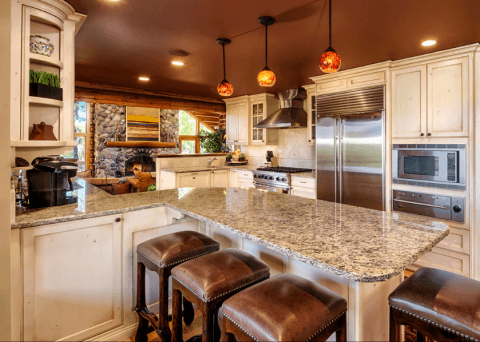 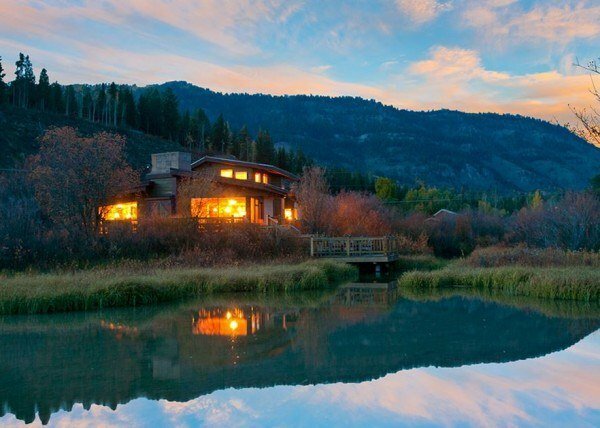 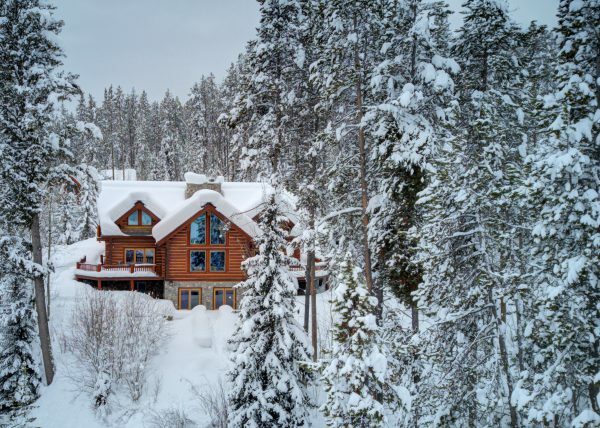 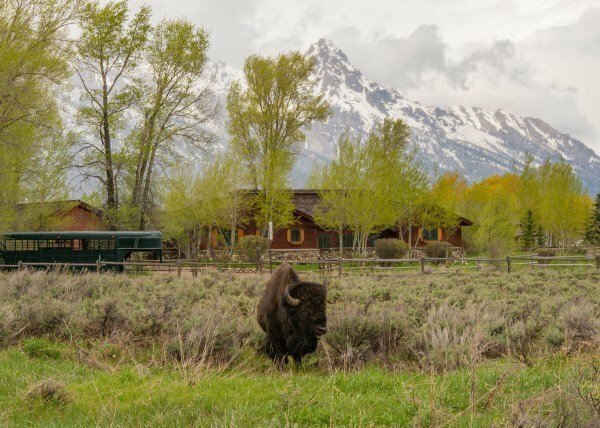 Sequestered far away from the hustle and bustle of city life yet only a 10-minute drive from Jackson town and the Jackson Hole ski slope, at Willow Haven you’ll discover the perfect balance of seclusion and convenience. 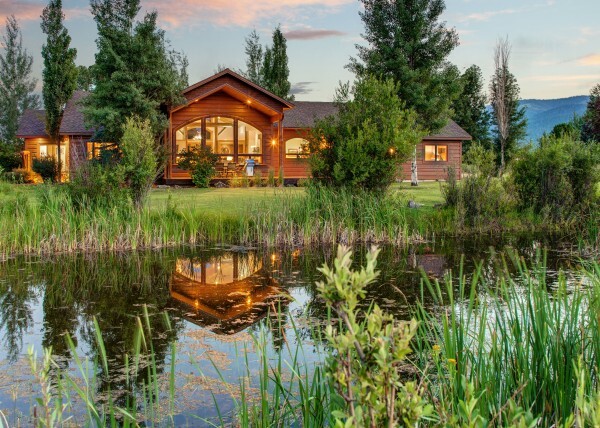 After a day out in the fresh air, retreat to Willow Haven to find all the right ingredients for relaxation. 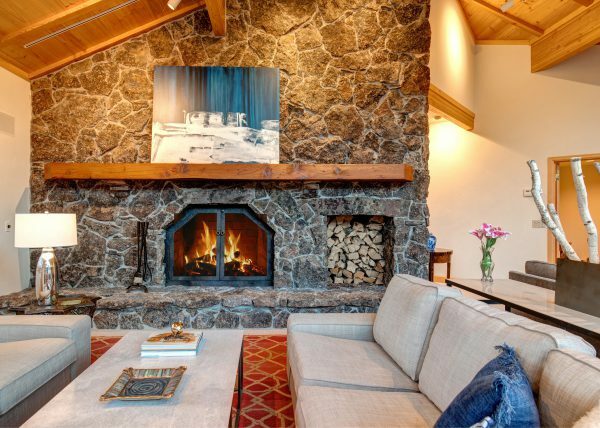 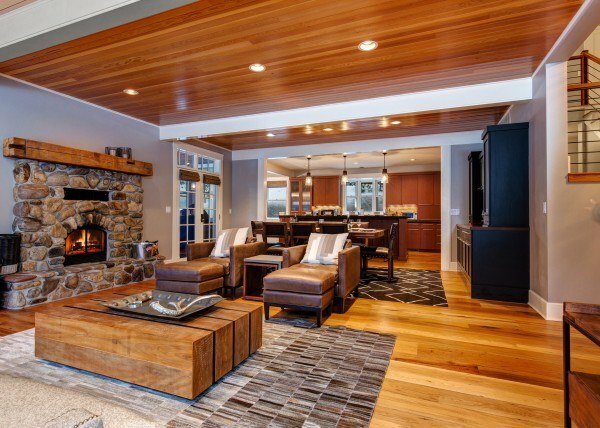 Gather around the two-story river rock fireplace and share stories, make cocktails with your very own wet bar, and challenge each other to friendly games with the card table or chess set. 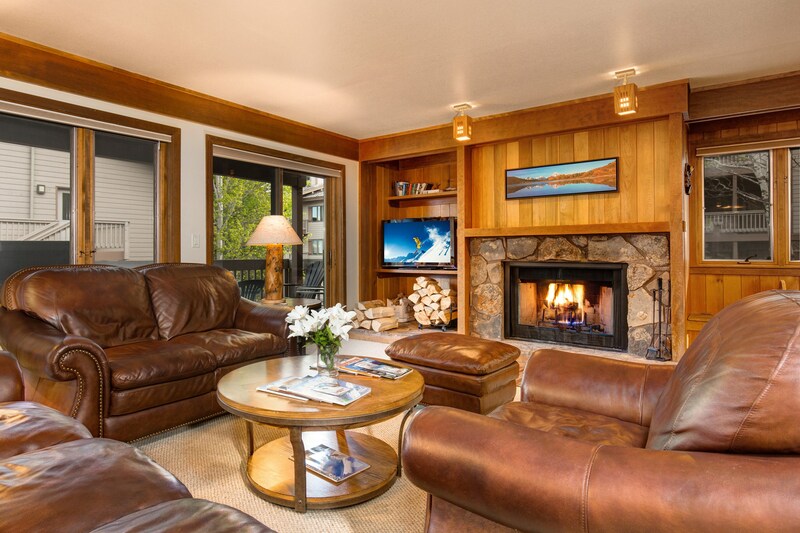 A state-of-the-art sound system and Wi-Fi access ensures you can set whatever your evening entails to the right rhythm. 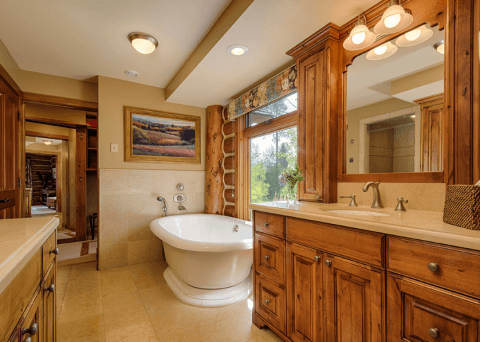 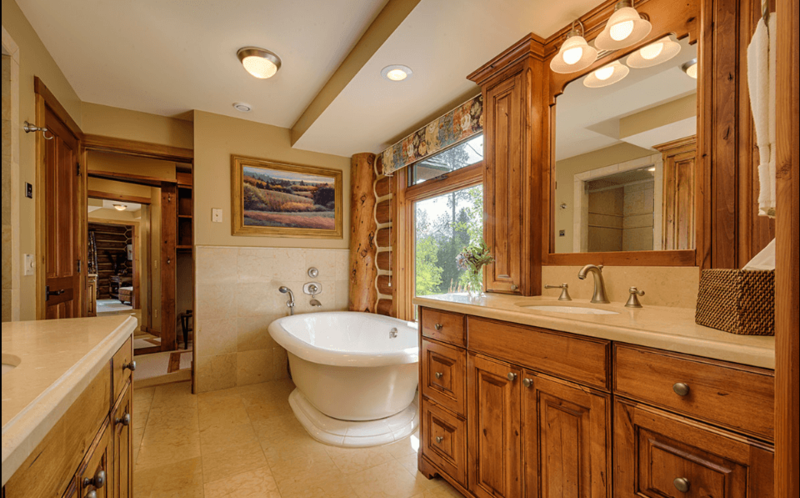 This Luxury home includes 5 bedrooms and 4 full baths and 2 half baths. 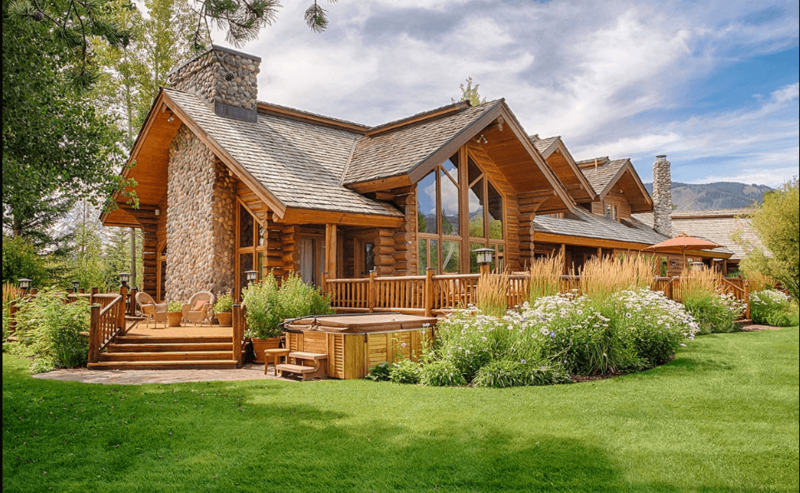 The home is split into two structures with the main home featuring 3 of the bedrooms and a connected guest house with the other two bedrooms. 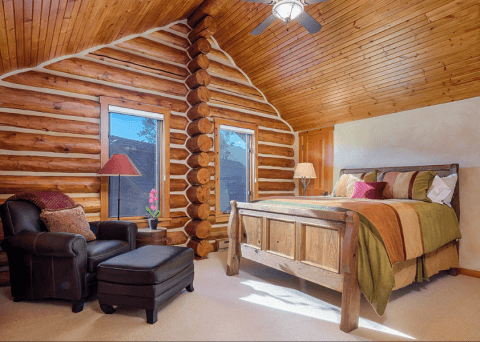 The guest house can serve as nanny quarters, a mother in-law apartment or even house another family. 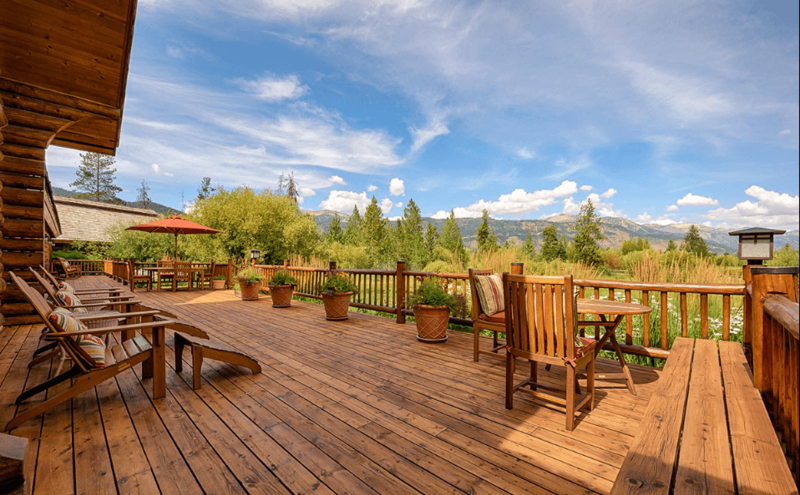 The breezeway that connects the two structures gives you great privacy with keeping your guests close by at the same time.